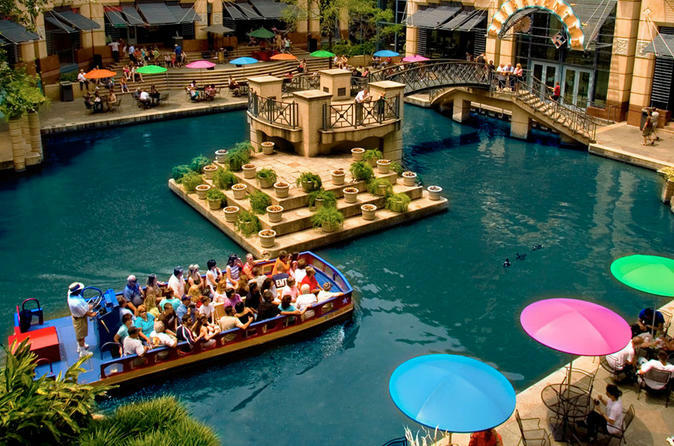 Be entertained and informed on a San Antonio 2-in-1 tour that includes a river cruise along the San Antonio River Walk and a hop-on hop-off double-decker bus tour. With a combination of live guides and recorded commentary, you'll enjoy the sights of downtown and the Pearl Brewery District. The 35-minute river cruise is a relaxing way to admire this popular area of the city. 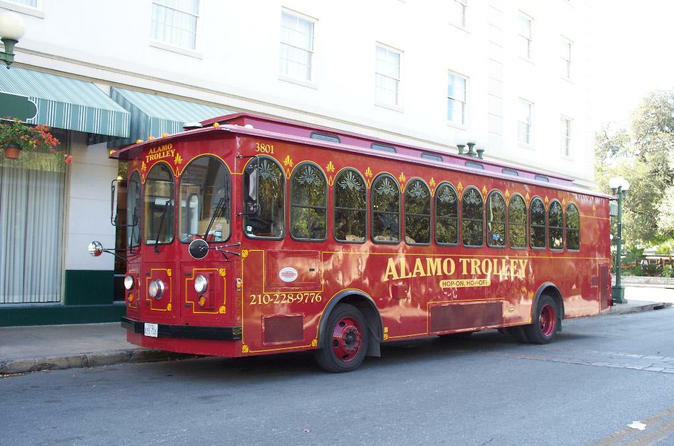 On the bus tour, you have the flexibility to hop on and off as much as you like at any of the stops on the route to see the attractions that interest you, such as the Alamo, Museum of Art, or Market Square. 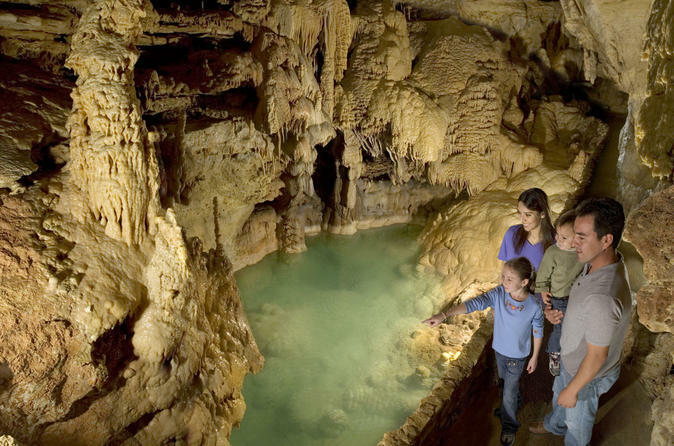 Take a guided walking tour of Natural Bridge Caverns, the largest commercial caverns in Texas. An informative and fun guide leads small groups of people 180 feet (55 m) below the ground into the atmospheric caves for a 75-minute tour packed with history, exploration, and an intriguing explanation for the science behind the caverns’ curious rock formations. Once above ground again, enjoy the other attractions, such as ziplines and adventure courses, that are fun for the whole family. 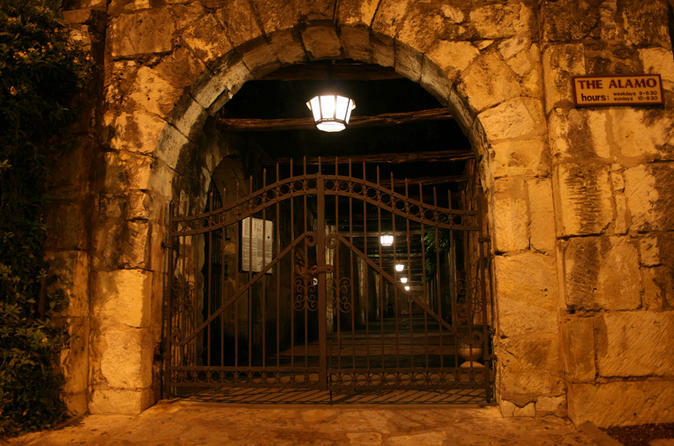 Experience San Antonio lit up at night and see some spooky sites on this Segway tour. When dusk falls, follow your guide on a 1.5-hour tour to see haunted historic buildings and hotels such as Menger Hotel, Emily Morgan Hotel and La Villita. Pass the illuminated Tower of Americas in HemisFair Park, built for the 1968 World's Fair, and cruise by San Fernando Cathedral, where the remains of the heroes of the Alamo are entombed. You’ll hear some great stories and learn the history about the sites you visit. 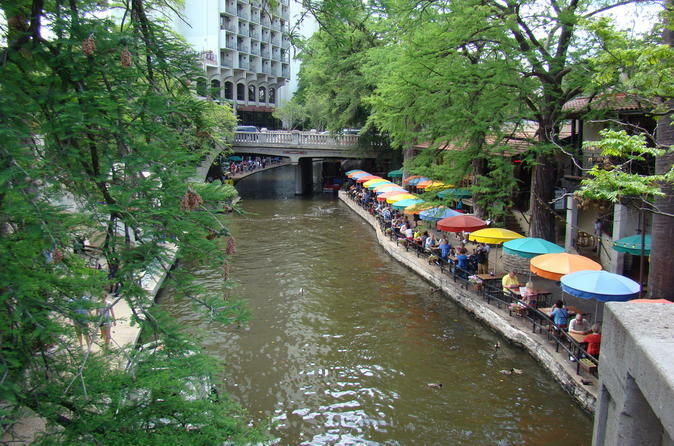 Discover San Antonio on a sightseeing tour that travels to the city's top sights. See attractions including the Alamo, HemisFair Park, Tower of the Americas, River Walk, Institute of Texan Cultures, San Fernando Cathedral, the Mission Trail, King William Historic District and more. Ride the 60-minute loop without stopping, or upgrade to a hop-on hop-off pass that allows you to disembark at any of 10 stops to explore on foot. 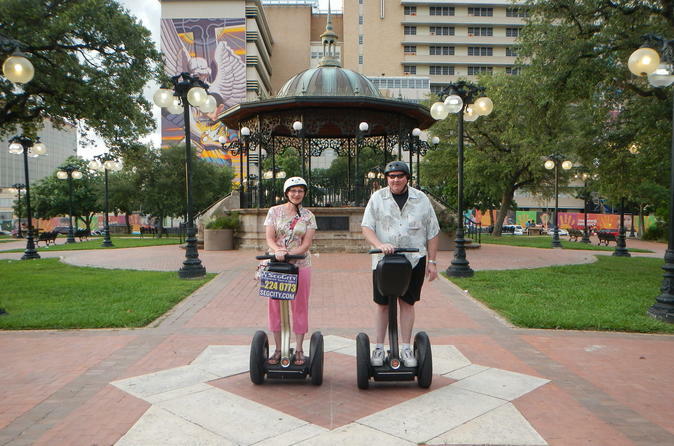 The best sightseeing available in downtown San Antonio is on a Segway! Cruise major landmarks and sites such as historic Houston St., Main Plaza, La Villita, the Alamo and more. Meet up is conveniently close the Alamo Plaza area in the heart of downtown. After a brief Segway demonstration and one-on-one training you'll be on your way. 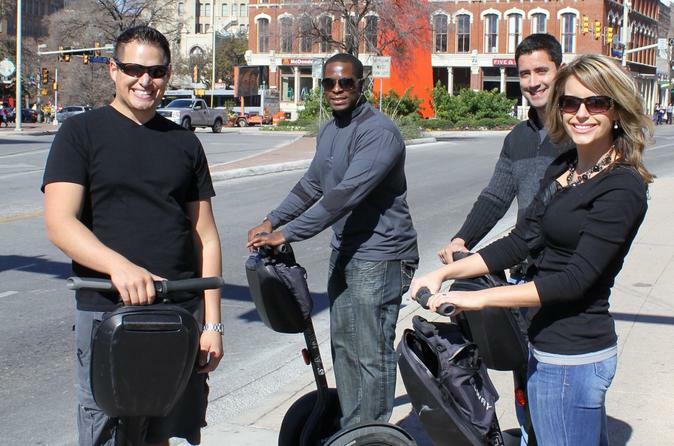 An expert guide will lead the group throughout downtown San Antonio and provide commentary at various historic sites as well as find an open area to allow riders to play on their Segways. 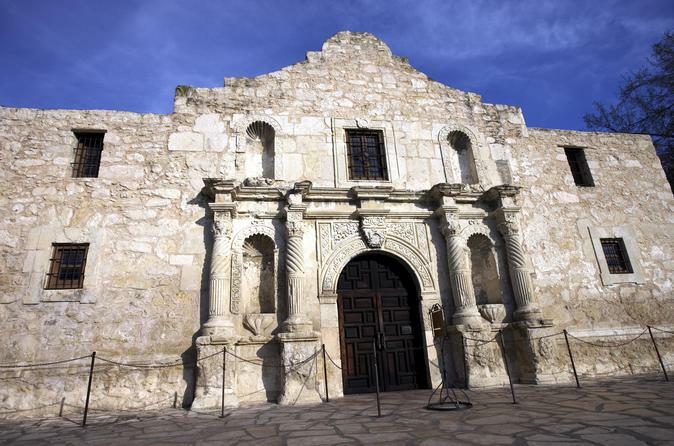 Live the story of the Alamo. 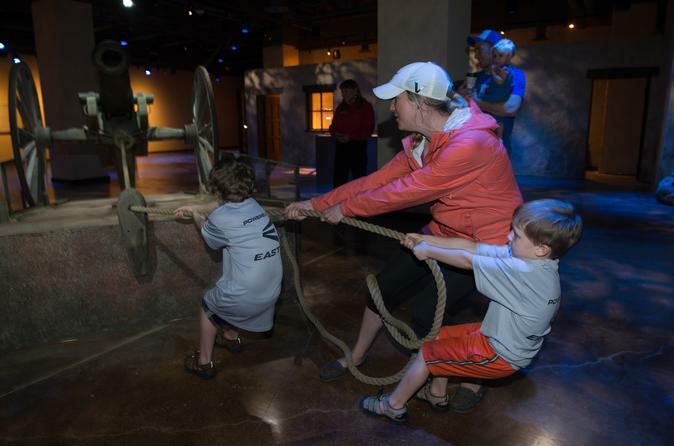 Battle for Texas The Experience is an interactive adventure that transports visitors back to the 1836 epic battle over the Alamo. Visitors immerse themselves in Texas history as they learn the stories behind the 250 never-before-seen collection of artifacts. Meet the heroes Davy Crockett, William Travis, and James Bowie. Design your own flag and claim your land. Load cannons into firing position as you prepare to enter the gauntlet. Honor the brave defenders as their names are roll called one by one. Celebrate the great state and weave yourself into the fabric of Texas. San Antonio Panic Room is the original escape room in Texas and the best escape game experience in San Antonio. As a part of the Texas Panic Room family, San Antonio Panic Room is perfect for families, friends, parties and coworkers. The idea is simple. You and a group of friends or fellow coworkers are locked in a room, and you have 60 minutes to escape. How? 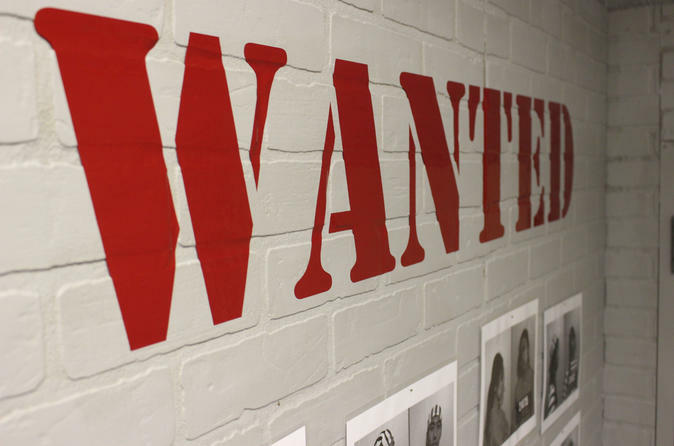 By solving a series of puzzles using your deduction skills, teamwork abilities and clues found throughout the room! With an average escape rate of 30%, are you ready to take on the challenge? 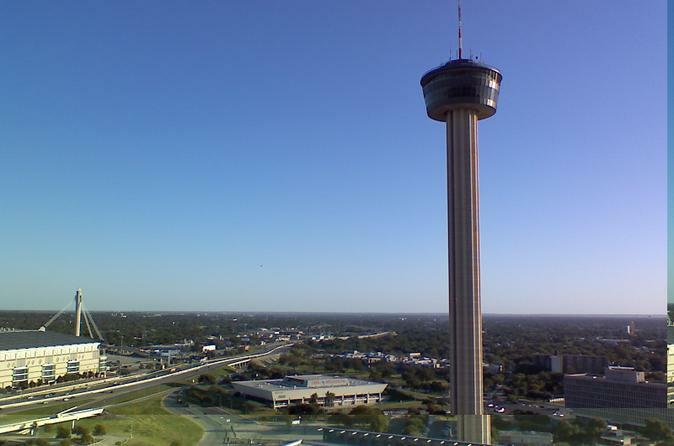 This package includes all the best sights and attractions that the city of San Antonio has to offer. 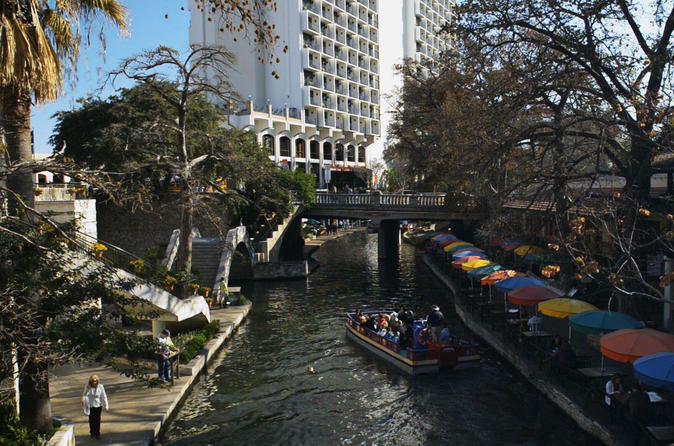 Experience an entertaining and informative cruise on the famous San Antonio River Walk along with a hop-on hop-off double decker tour and trip to the Tower of the Americas! Explore downtown with friendly staff, live guides and recorded commentary, hopping on and off as much as you like at any of the bus stops on the route. Price is per Group of 2-5 people. Turn San Antonio into a giant game board with this fun scavenger hunt adventure! This challenge combines the excitement of the Amazing Race with a 3-hour city walking tour. Guided from any smart phone, teams make their way among well known and overlooked gems of the city, solving clues and completing challenges while learning local history. Enjoy a 1.5-hour guided Segway tour sightseeing downtown San Antonio while uncovering the haunted sites and landmarks of the city. Learn about historic events that took place in various haunted hotels and other sites, as well as modern-day tales of paranormal activity. Just the stuff of legends or something more? You be the judge! 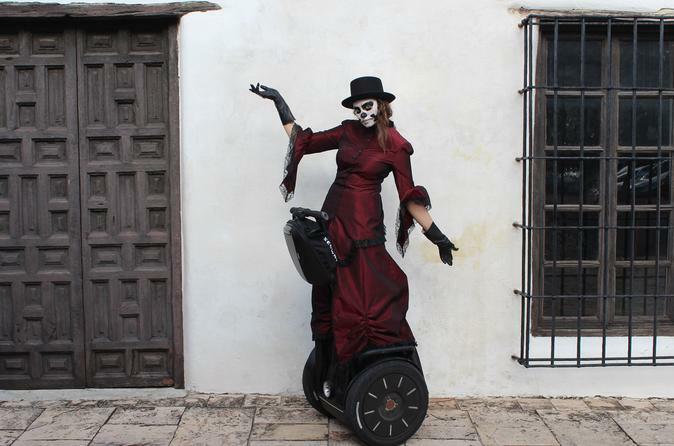 Knowledgeable guides train riders on basic Segway operation before embarking on an expertly narrated tour, making this a must for fun things to do in San Antonio and the perfect Halloween activity!